Virgin Bores carry a full range of PM Technology submersible pump motors for domestic and small commercial bores. 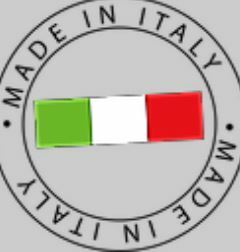 As Perth’s leading bore driller we are proud to be associated with PM Technology “numero uno” in Italian submersible motors. In 20 years of installing new water bores and servicing and repairing submersible motors of all brands we have never come across a submersible motor we have more confidence in. Fantastic to see a factory that has certification of a quality system that attests to their quality control. We visited the factory in Brendola in northern Italy and were stunned by the thoroughness of their pre-shipment quality control. Each and every motor was individually run through an impressive gamut of computer controlled QA testing before shipment. 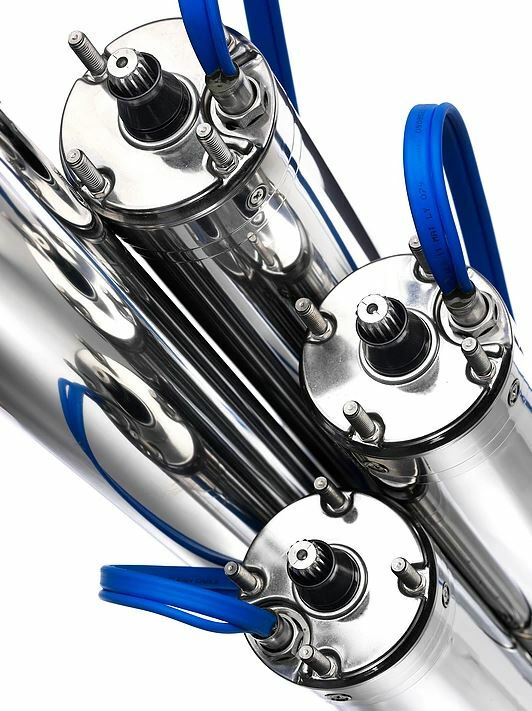 In our opinion there is no more robust and well-engineered stainless steel submersible motor that is better suited for Australian down bore-hole conditions. 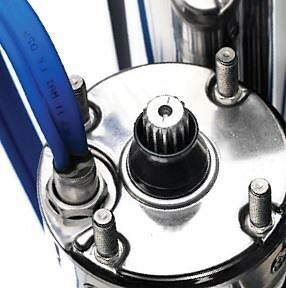 What is the best submersible pump motor for Perth bores. We have shelf stock of and quick support for, PM Technology single phase submersible motors. 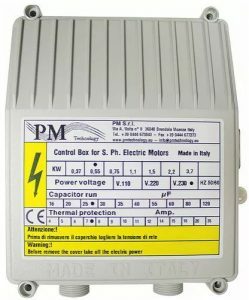 We have 3 wire PM Technology single phase motor versions from .75kw to 2.2kw and 2 wire models with built in start capacitors in .75kw and 1.1kw. 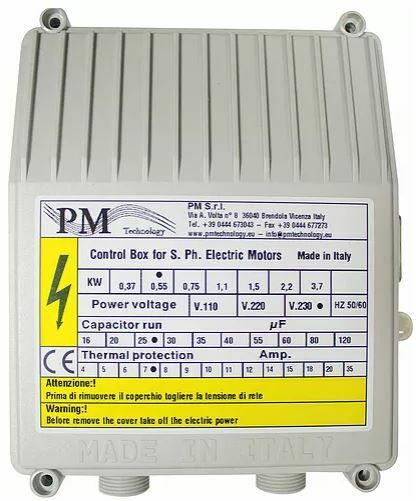 Three phase models on shelf from .75kw to 2.2kw. 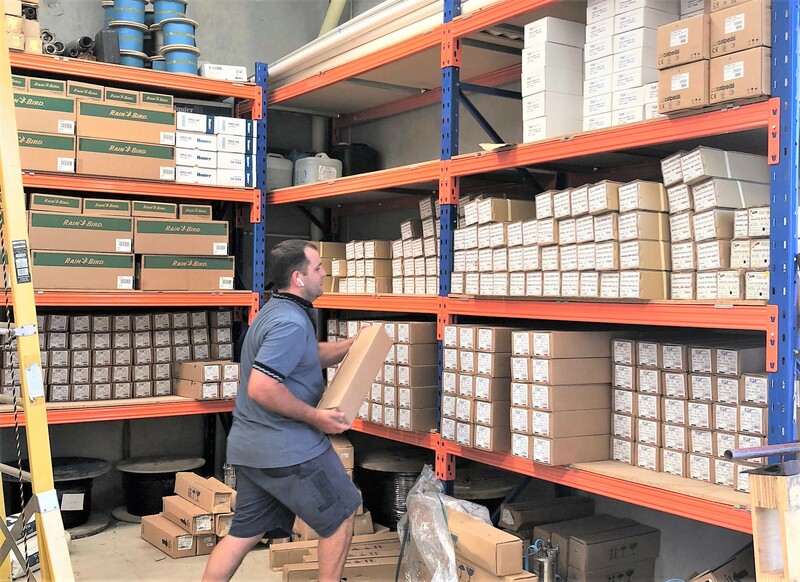 Our Wangara warehouse is well-stocked with PM Technology submersible motors for quick local support.